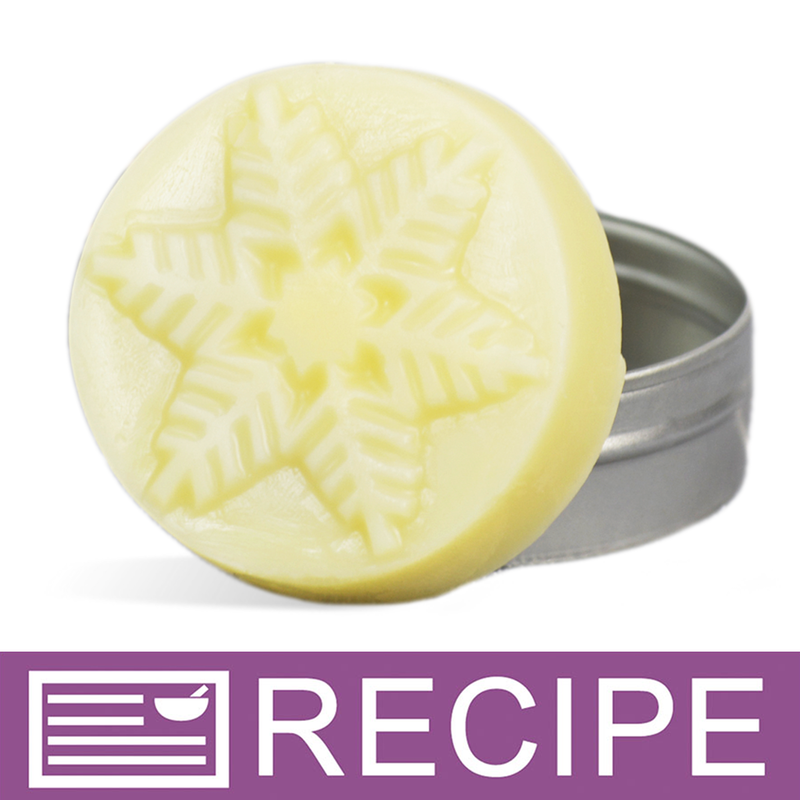 Shea butter, cocoa butter, and babassu oil put the moisturizing properties in these snowflake shaped lotion bars. 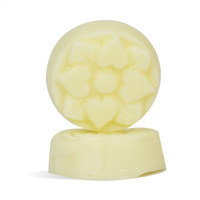 Glide these lotion bars on skin for a smooth and moisturized complexion. Shea butter, cocoa butter, and babassu oil combine to soothe dry winter skin, and are perfect for dry elbows, knees, and arms. The snowflake shaped bars are packaged in shallow metal tins, and fragranced with the scent of exotic tiare flowers, roses, and orchids. You Save $44.96 by purchasing this kit rather than buying the items separately. COMMENTS: This is great for winter dry skin. • Wish this soaked in better. "Can I substitute candelilla wax for the beeswax? Thanks in advance!" Staff Answer We would recommend testing to use only candelilla. 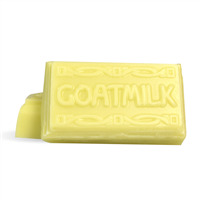 You might try blending half and half with beeswax or with the Smooth & Creamy Lotion Bar Additive. "So the kit says it yields 56 bars but when you click on the kit details and recipe it says 13. Which is correct." Staff Answer This kit makes 13 lotion bars. We have corrected the information on our site. Thank you for bringing this to our attention. "Do they melt easily n warm weather? " Staff Answer Yes, these can get soft and possibly melt in warm weather. Caution should be taken to not leave in a hot car or purse in warmer weather. "I received my kit for this project, which included both Monoi de Tahiti fragrance oil and Rosemary Oleoresin extract. The ROE is not mentioned in the recipe, so do I use it and if so, when does it get added to the mixture? " The Rosemary Oleoresin Extract is needed for this kit to help prevent the oil from turning brown/rancid. The recipe has been updated on our site to reflect this, if you would like to revisit the recipe you can Click Here. Thank you so much for your question! "Could this lotion bar recipe used in a twist-up stick container?" Staff Answer Hi Laurie - Yes, it can! Just be sure to pour at a temperature that the container can withstand. Keep in mind that we haven't tested this in a twist-up stick and cannot 100% guarantee it will turn out as expected. "Can you add color to lotion bars? If so, which kind?" Staff Answer Yes, but be careful about the amount of colorant you use as it may stain the skin in high concentration. We would recommend using a mica or one of the pigment and oxide colors. "For these lotion bars, can I use a fragrance with vanillin in it and then just use the lotion vanilla color stabilizer?" Staff Answer That is correct. You can use fragrances with vanilla and the Vanilla Color Stabilizer for lotions.